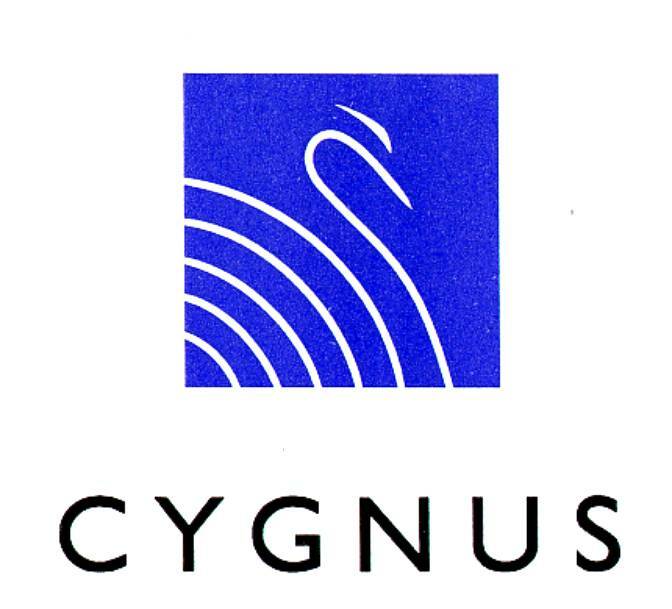 Beautifully engraved specimen certificate from Cygnus, Inc. 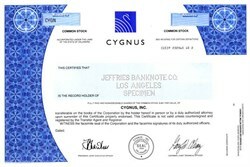 This historic document was printed by the Security-Columbian Banknote Company and has an ornate border around it with a vignette of the Company's logo. This item has the printed signatures of the Company’s President and Chief Executive Officer, and Chairman and Chief Technical Officer.